This is where Yo-So's PPC bid management team excels! Yahoo! 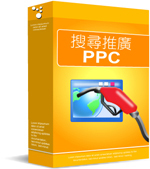 Search Marketing, Google and Baidu, among others, provide powerful pay-per-click (PPC) advertising platforms through which advertisers can manage budget and performance. Once, however, the volume of keywords in a paid search campaign jumps into the hundreds and thousands and tens of thousands, managing them to a positive return on investment while surpassing other search marketing goals requires technology, experience, innovation, and quick, creative thinking in addition to enormous amount of time required to analyze data. This is where Yo-So's PPC bid management team excels. Our services include keyword research and evaluation, budget allocation, ad copywriting, landing page optimization, strategy, tracking, reporting, analysis, and bid management. Our PPC advertising professionals continuously monitor each campaign to maximize ROI while the client service team regularly reports on its progress. Companies who are interested in our PPC Bid Management services please contact us for more details or fill out the online inquiry form below. We will get back to you within one business day.